Details emerge of the U.S. raid first reported yesterday, in which it now appears U.S. forces killed 3 members of an innocent family and wounded 7 other people. The dead are Sheik Hamid Hassan and two of his relatives. The victims fired on their assailants thinking they were terrorists. The U.S. has not said whether the intended target of the raid, named Firas Yasin Ahmad, was captured or was even determined to have been nearby. "Adel al-Sumaidaie, who heads the security committee of the provincial council of Salaheddin where Rufayat is located, described the raid as a "massacre against civilians. We will not let them (US troops) go free after this action -- We will chase them in all the international courts because of the criminal action they have carried out today." See below for further repercussions. Gunmen using silenced weapons kill an official of the Ministry of Higher Education and his son in Ghazaliya district. VoI identifies the victim as the Director General of Administration, Dawood Salman Rahim. Roadside bomb attack on the convoy of the head of the Ninevah provincial council injures 3 of his guards. 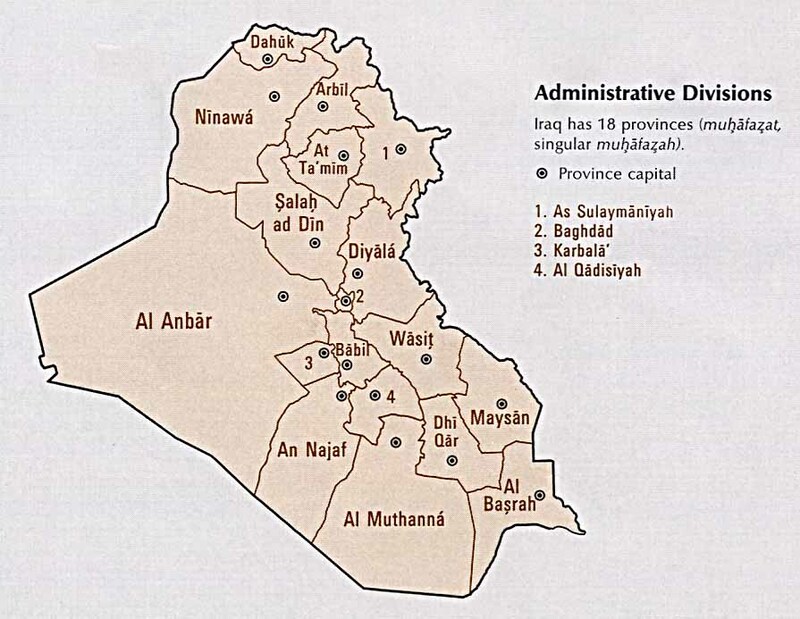 “What has happened in al-Rufeiat village of Balad township, 95 km to the south of Tikrit, the center of Salahal-Din Province, represents a violation against the Iraqi sovereignty, which the Americans claims to have handed over the security dossier to the Iraqi sovereignty, ending the presence of its troops in the country,” Shaalan Abul-Karim told Aswat al-Iraq news agency. Abdul-Karim said that “we can’t keep silent towards the said incident and similar incidents, carried out by the American forces.” “The Parliament session on Monday shall witness the formation of an investigation committee to demand the Iraqi government and the Foreign Ministry to present a protest against such horrible acts, compensate the families of the victims and banning such operations in the future,” he said. * Bogus claims that were made about Saddam Hussein’s weapons of mass destruction. * Not telling the British public about his secret pledge with George Bush to go to war. * Keeping the Cabinet in the dark by his ‘sofa government’ style. *Failing to plan to avoid the post-war chaos in Iraq. Parliament cuts the number of cabinet posts from 46 to 32, in what is generally perceived to be a "good government" initiative eliminating patronage positions with no real function. Iraq doubles its order of F-16 fighter jets from 18 to 36. "Baghdad had postponed plans to purchase 18 of the multimillion-dollar jets, diverting almost $1 billion of the money to buying food for impoverished regions in a response to rising antigovernment protests. [But now. . .] "We have to provide Iraq with aircraft to safeguard its sovereignty," al-Maliki said in announcing that Iraq would revive the F-16 contract. "We will make it 36 instead of 18." Oh, by the way Tea Party Patriots, American soldiers in Afghanistan have been warned they may not be paid after President Obama failed in an 11th-hour attempt to reach a settlement over the U.S. deficit. "Troops fighting in Afghanistan have been told that the Obama administration is expected to make their salaries a lower priority than interest payments to foreign bond-holders." In a kind of bizarre story, a female Member of Parliament claims that Mullah Omar is staying at her house. Really. Whatever. Homa Sultani, an Afghan MP representing Ghazni province, criticised the government over being reckless about her remarks saying the Afghan government hasn't paid any attention to what she said of receiving the Taliban Leader Mullah Mohammad Omar in her house. Some lawmakers suggested that a delegation should be formed to visit the leader of the Taliban at Homa Sultani's home. "At the moment Mullah Omar is in Afghanistan away from ISI and Pakistan. He is our guest and with us. His message is that he is ready for reconciliation and peace talks," Mrs Homa Sultani claimed. Insisting on accuracy of her remarks, Mrs Sultani said if she is proved wrong she is ready to be punished. "If my words are proved wrong, then I am ready to be punished for making a big lie on a big issue," she said. Finally some of the legislators suggested formation of a delegation to verify Mrs Sultani's claim. Shir Wali Wardak, an Afghan MP representing Wardak, said: "If the leader of the Taliban has come over to someone's house for a party, we should set up a delegation and as soon as possible we begin our negotiation with him." #1: Three Iraqi civilians have been injured in an explosive charge blast in southern Baghdad on Friday night, a security source reported. “An explosive charge blew off on Friday night in southern Baghdad’s Saydiya district, wounding 3 civilians, the security source told Aswat al-Iraq news agency. 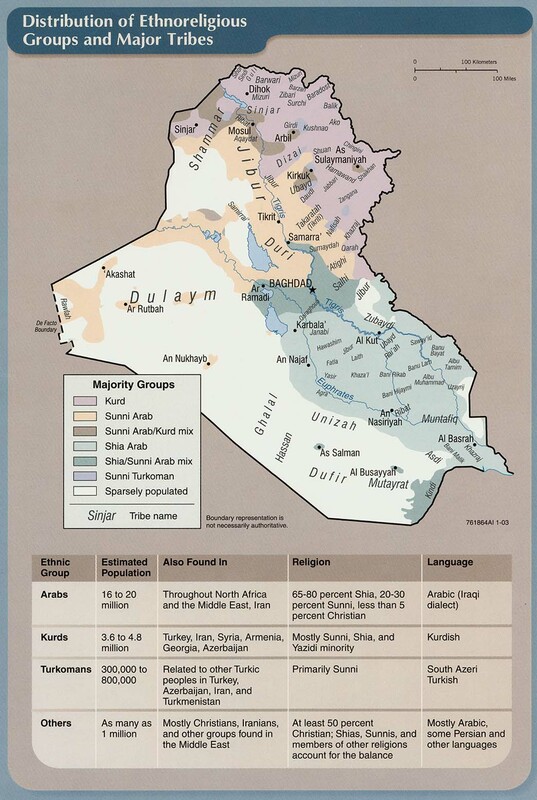 #1: Armed men killed one policeman and a government-backed Sunni Sahwa militia member when they opened fire on a joint police-Sahwa foot patrol in Baquba, 65km (40 miles) northeast of Baghdad, a Diyala police source said. #1: Two Iraqi civilians have been killed and 5 others, among them 2 women and 2 children, have been injured in 3 explosive charges blasts in northern Baghdad’s Taji district, 20 km to the north of the Iraqi Capital, a security source reported on Saturday. “Three explosive charges blew up on Friday night, close to a house in Umm-al-Hadayil village in northern Baghdad’s Taji district, killing 2 civilians and wounding 5 others, including 2 women and 2 children,” the security source told Aswat al-Iraq news agency. #1: US troops killed three Iraqi civilians and injured six during a Saturday pre-dawn raid on a village in the province of Salah al-Din, north of Baghdad, a local clan chief said. Sheikh Youssef Ahmed Hassan said the US forces opened fire after a local villager fired into the air. 'The villager thought that the US troops were operatives from al-Qaeda,' he told the German Press Agency dpa. An exchange of fire between the villagers and the US soldiers left three local men dead, and four women and two children injured, according to Hassan. #1: An Iraqi Kurdish citizen has been killed and large numbers of citizens of northern Arbil’s Choman border township with Iran, were force to leave their villages, due to Iranian bombardment of the area on Friday, a military source in the Border Guards Command reported. “A citizen in a Choman village has been killed due to artillery bombardment by the Iranian side on the village on Friday,” the source stressed, adding that about 40-50 families from the areas that came under bombardment were forced to desert their villages. #1: Two cops were injured by a bomb blast south of Kirkuk, police sources said here. The source told Aswat al-Iraq that an emergency patrol unit found a bomb near a mosque, south of the city. Anti-bombs squad arrived, but the bomb exploded by itself which resulted in injuring two cops. #2: Iraqi police found the body of a man in his twenties with gunshot wounds in eastern Kirkuk, 250 km (155 miles) north of Baghdad, a source from the Kirkuk police operations centre said. #1: A civilian was killed today by a sticky bomb north of Mosul, security sources said here. #2: Gunmen shot dead a civilian in western Mosul late on Thursday, a Nineveh police source said. #1: An Afghan official says seven Afghan soldiers and a translator were killed alongside two NATO service members in a bombing and ambush in eastern Paktia province. The deputy provincial governor of Paktia, Abdul Rahman Mangal, said Saturday the soldiers and a translator were killed on Friday while on patrol in the Zurmat district of the province. Mangal says the troops were on a joint patrol when a roadside bomb detonated. He added that the patrol was then attacked by insurgents. He did not have any further information on other casualties or wounded. #2: Ten Shiite Muslims and another man were killed on Saturday when gunmen opened fire in an apparent sectarian attack in southwestern Pakistan, police said. The shooting took place on the outskirts of Quetta, the capital of oil and gas-rich Baluchistan province, which borders Afghanistan and Iran. "Gunmen opened fire on a passenger van carrying Shiite Muslims. Ten Shiites and a passer-by were killed and four injured in the attack," senior police officer Jamil Ahmad Kakar told AFP by telephone. Kakar said the unidentified gunmen stood by the roadside spraying bullets at the van before they fled the scene in a waiting car. #3: An explosive device went off in a NATO supply oil taker in Sadu Khel area of Landikotal here on Friday, however, no casualty was reported. Official sources said that last morning an Afghanistan bound Nato supply tanker (TLT 350) was blown up by non-disclosed militants by installing explosive device to it. When it had been parked on the roadside. The explosive had been fit in the middle portion of tanker, the sources said. The oil in the tanker caught fire and wasted while destroyed the tanker, the sources said. The fire flames melted the electricity lines, which suspended the power supply to Khyber Zakha Khel areas. #4: Seven people were killed and one wounded when two unknown gunmen opened fire at a transport company's office in Quetta, the capital of Pakistan's southwestern Baluchistan province, police said. The dead include two Uzbeks and one Iranian national, said senior police official Hamid Shakeel. The transport company runs buses from Quetta to Taftan, a city that borders Iran, he said. #5: At least 10 people were wounded in a bomb blast in Mastung district of Baluchistan province. #6: Three coaches of a passenger train derailed after a blast ripped off a portion of a track in the Jaffarabad district of southwestern Baluchistan province, police said. There were no casualties. #1: At least 18 Afghan civilians have been killed by a roadside bomb in southern Helmand province, police say. They were travelling in a minibus through Nahr-e-Saraj district when the blast happened. They are thought to have been heading for the provincial capital, Lashkar Gah. He said insurgents had fired at police who responded to the blast, but no officers had been wounded. #2: update Seven suicide attackers killed at least 21 people in near-simultaneous assaults Thursday in a provincial capital in southern Afghanistan. The victims included 10 children and three women who died when an assailant crashed a vehicle into a hospital maternity ward and set off a cargo of explosives, officials said. Afghan officials said that at least 38 people, including at least three police officers, were wounded in six hours of mayhem in Tarin Kot, the capital of Urozgan province, north of Kandahar. #3: Border guards in Tajikistan have shot dead eight gunmen trying to smuggle drugs into the ex-Soviet republic from neighbouring Afghanistan, a senior Tajik security official told Reuters on Thursday. 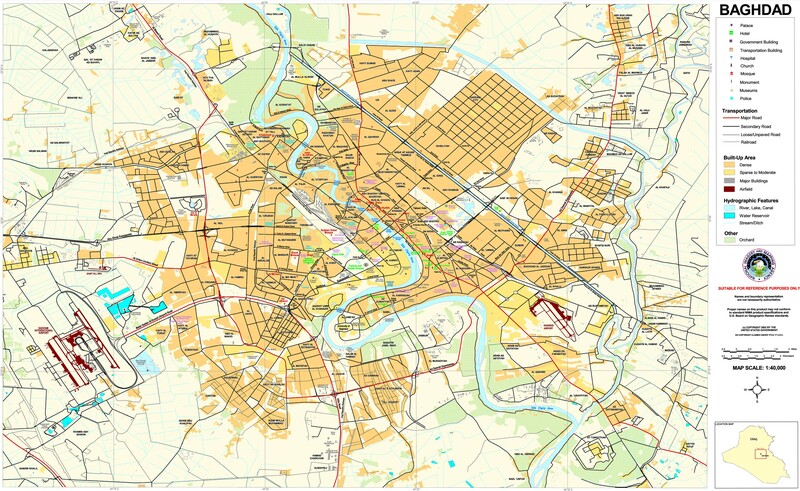 #1: Central Baghdad’s fortified Green Zone has come under a Katyusha rocket attack on Wednesday, but losses are not yet known, a Baghdad Security source reported. “A Katyusha rocket fell on the Green Zone in Central Baghdad on Wednesday, but losses were not known,” the Security Source told Aswat al-Iraq news agency. #2: Four civilians and four cops have been injured in a booby-trapped car blast, close to an alcohol shop in northern Baghdad on Wednesday night, a security source reported on Thursday. “A booby-trapped car blew off close to an alcohol shop in northern Baghdad’s Waziriya district on Wednesday night, wounding 8 persons, including 4 policemen,” the security source told Aswat al-Iraq news agency. #1: : U.S. warplanes have raided a vehicle, parked east of Amara, the center of southern Iraq’s Missan Province on Tuesday, the Chairman of Missan’s Security & Defense Committee reported on Wednesday. “American warplanes on Tuesday night raided a pick-up vehicle, parked on a main street in Musharah township, 35 km to the east of Amara, completely destroying the vehicle, but causing no human casualties,” Sarhan al-Moussawi said. He added that his his committee has opened an investigation to learn the reasons behind the incident. #1: A local official says a suicide bomber has blown himself up outside a bank in Saddam Hussein's hometown, killing 10 people and wounding about 30. Salahuddin provincial spokesman Mohammed al-Asi says Thursday's midmorning explosion occurred outside the state-run Rafidain bank in Tikrit, located 80 miles (130 kilometers) north of Baghdad. Al-Asi says policemen who were picking up their monthly paychecks were among the casualties. A roadside bomb and a suicide bomber struck a crowd of Iraqi soldiers outside a bank in the city of Tikrit, the capital of Salahudin province, on Thursday, killing and wounding dozens of people, a provincial police source told Xinhua. The attack took place before midday when a roadside bomb went off near a crowd of Iraqi soldiers gather outside the government- owned al-Rafidain Bank in central Tikrit to collect the salaries on behalf of their military units, the source said on condition of anonymity. #1: Iran said Wednesday two of its Revolutionary Guards and 21 rebels were killed in a clash between government forces and the PJAK rebel group.The website of Iran’s English language PressTV reported that two other Guards were injured in the fighting. Local media Wednesday reported Iran’s Revolutionary Guards have killed more than 50 PJAK rebels since beginning the assault nearly two weeks ago and will continue the operation until Iraq takes control of the region. #1: A sticky bomb wounded a policeman late on Tuesday in eastern Kirkuk, 250 km (155 miles) north of Baghdad, police said. #1: Two Iraqi soldiers have been killed in an armed attack by a group of unknown gunmen, using guns fixed with silencers, in northern Iraq’s city of Mosul on Wednesday, a Ninewa security source reported on Thursday. “Two Iraqi soldiers have been killed by unknown gunmen, who opened fire on them by guns, fixed with silencers, in northern Mosul’s al-Had’ba district on Wednesday,” the security source told Aswat al-Iraq news agency. He said the two soldiers were in a checkpoint, when the gunmen opened fire on them, killing them on the spot and escaping to an unknown destination. #2: An insurgent was killed and an Iraqi soldier wounded during clashes that erupted during a raid by an Iraqi army force in western Mosul, 390 km (240 miles) north of Baghdad, an intelligence source in Nineveh security operation centre said. #1: A car bomb that exploded in the center of Falluja today resulted in four casualties, police sources said. The source added that this the preliminary toll from the blast totals four civilians. #1: Officials say militants, including at least three suicide bombers, are fighting Afghan police in the southern Uruzgan province. Interior Ministry spokesman Sediq Sediqqi says at least three attackers blew themselves up Thursday afternoon at a police headquarters building in the provincial capital of Tarin Kot. Provincial spokesman Milad Ahmad Mudasir says the attack caused casualties but it's not yet known how many. He says initial reports indicate that seven explosions occurred, but it's unclear what caused them. Militants wielding guns and strapped with explosive devices attacked the governor's office and a police station on Thursday in Afghanistan's southern Uruzgan province, killing at least three people, officials said. The condition of governor Muhmmad Omar Sherzad was not immediately clear. At least 20 people were wounded, including three police officers, in a strike that occurred in the provincial capital of Trin Kowt. according to Khan Aga Miakhail, head of Uruzgan's regional department of health. The Taliban has taken credit for the attack, saying six insurgents penetrated the governor's headquarters and are currently embroiled in a firefight with government forces, according to Taliban spokesman Qari Ahmad Yousofi. #2: Three Afghan civilians were killed by coalition service members on late Tuesday evening when their vehicle failed to stop in northeastern Afghanistan, the NATO-led International Security Assistance Force (ISAF) said on Thursday. The shooting took place at around 10 p.m. local time on Tuesday in the Nejrab district of Kapisa province when a civilian vehicle was seen approaching the rear of an ISAF unit. That unit had been forced to stop on a road due to stones blocking the route. #3: Unknown gunmen killed Haji Norani, the commander of an auxiliary police force in Marjah, an area in Nad Ali district of southern Helmand province on Tuesday evening, the governor of Marjah, Abdul Mutaleb, said. Norani was killed along with his son while visiting a village in neighbouring Lashkar Gah district of Helmand, he said. Noorani commanded a government-backed community police unit in Marjah, separate from Afghanistan's national police force and was a powerful man in Marjah, Mutaleb added. #4: One policeman and a civilian were killed and two policemen were wounded when a roadside bomb the police were trying to defuse exploded in Bolan area of Lashkar Gah district, deputy police chief for Helmand province, Mohammad Ismail Hotak, said. #1: Ali Air Base, used by the U.S. forces in southwestern Iraq’s city of Nassiriya has come under two Katusha rocket attack on Tuesday, but losses were not known, a Thi-Qar security source reported. eyewitnesses told Aswat al-Iraq that they saw 6 rockets launched from their area on Tuesday. Noteworthy is that a Katusha rocket on the same base early this week. #1: A bomb exploded against a U.S. convoy in the north of Basra, police sources said here today. No casualties were reported. #1: Security sources reported today that an officer in the pro-government Al-Sahwa (Awakening) forces was killed in front of his residence south of Kirkuk. Police Director General Sarhat Qadir told Aswat al-Iraq that unknown gunmen shot officer Hazim Sajit by machine guns in front of his house, which led to his death instantly. #2: A roadside bomb went off, wounding a policeman in northern Kirkuk, police said. #1: Unknown gunmen assassinated a female doctor today in Mosul, security sources reported today. The source told Aswat al-Iraq that she was killed in her clinic in the middle of the city. #2: The Iraqi Security Forces have dismantled an explosive charge, inside a car in a security area, close to northern Iraq’s Ninewa Province’s Operations Command, south of Mosul, the Chairman of the Province’s Security & Defense Committee reported on Wednesday. “A Team in Ninewa Operations Command has managed to dismantle an explosive charge, stuck under a car in al-Tayaran district, south of Mosul, on Tuesday” Abdul-Rahim al-Shimmary told Aswat al-Iraq news agency. #1: The mayor of Afghanistan's restive southern city of Kandahar was killed in a suicide bomb attack, the latest in a series of recent high-profile assassinations the Taliban have taken credit for. Ghulam Haidar was killed Wednesday while at a city hall meeting in the provincial capital, said Zalmai Ayoubi, a spokesman for the Kandahar governor's office. "The suicide attacker placed an explosive device in his turban and detonated it inside the city meeting hall," Ayoubi said. One civilian was also injured in the attack. #2: Three children from the same family were killed and four others were injured in northern Afghanistan in a mortar attack allegedly carried out by militants, an official said Wednesday, dpa reported. A shell hit a civilian house on Tuesday night in the Chardarah district of the northern province of Kunduz, killing three children aged between 5 and 10 years and injuring four others, Abdul Momen Omarkhil, the district governor, said. #3: A landmine blast killed a paramilitary soldier and wounded three in the Mohmand region on the Afghan border where Taliban militants are active, an intelligence official in the area said. #4: A bomb struck a truck carrying fuel for foreign forces in Afghanistan in the northwestern Khyber region but caused no casualties. #5: Ten Pakistani Taliban militants were killed in the tribal region of Kurram during clashes with tribesmen opposed to militant activity, government officials said. The fighting broke out after militants set fire to 10 abandoned houses used by tribesmen in the central Kurram region. There were no casualties reported. #6: One child was killed when Afghan police carried out a "controlled" detonation of explosives in district five inside Kandahar city on Wednesday, the Kandahar governor's office said in a statement. #1: A roadside bombing rocked the city center of Iraqi capital Baghdad late on Monday, wounding three civilians, a police source said. The source, on condition of anonymity, told Xinhua that the explosion took place on Abu-Nuwas street and no further detail could be obtained so far. #1: A bomb strapped to a motorcycle killed three people and wounded 14 others in a town northeast of Baghdad officials said Monday. Diyala province’s police spokesman Maj. Ghalib al-Karkhi said the bomb was detonated by remote control.He says the explosives were packed on a motorcycle that was parked near a hospital. Health official Faris al-Azawi also confirmed the casualties and injuries from the Monday evening blast, which took place in Muqdadiyah, a town about 60 miles northeast of the capital. #2: A roadside bomb planted close to a village mayor's house exploded, killing him and wounding his wife and daughter, on the northwestern outskirts of Baquba, 65 km (40 miles) northeast of Baghdad, police said. #3: Gunmen using silenced weapons shot and seriously wounded a student in western Baquba, police said. #1: A booby-trapped car blast that took place in Hawija township of north Iraq’s Kirkuk Province on Monday night, has killed 2 persons, injured 20 others and caused huge material damage, k Kirkuk Police Director said on Tuesday. “A booby-trapped car blew off on Monday night in a house in Hawija township, 65 km to the northwest of northern Iraq’s oil-rich city of Kirkuk, killing 2 persons, injuring 20 others, along with destroying the house of Mohammed Nasif Jassim, along with causing severe damage to shops and houses close to the venue of the explosion,” Lt-Brigadier, Sarhad Qader told Aswat al-Iraq news agency. #2: A car bomb exploded inside a suspected insurgent's house when he was trying to set a booby-trap in Hawija, 210 km (130 miles) north of Baghdad, killing him and damaging surrounding houses and restaurants, police said. #1: A security source in Ninewa province disclosed that a police officer was wounded due to a bomb explosion west of Mosul. The source told Aswat al-Iraq that a lieutenant was wounded by a bomb directed against his patrol. #1: The office of Helmand Gov. Gulab Mangal said that two separate clashes on Monday left a total of 22 insurgents and two police officers dead. The governor's office also said two young boys were killed as they stepped on a roadside bomb in Helmand. Monday's clashes occurred in central and northern Helmand, the statement from the governor's office said. In one of the clashes, eight insurgents were killed near the town of Nadiali _ located near the provincial capital. Another 14 were killed and eight wounded when they attacked a police checkpoint in the Musa Qala district. The two police officers were killed in that attack, the statement said. #2: NATO announced separately that nine insurgents were killed Monday in three separate incidents elsewhere in Afghanistan, including five during a raid to capture a local Taliban leader in eastern Laghman province. #3: Militants targeted a vehicle used by the military-run construction company, the Frontier Works Organisation (FWO), with a remote-controlled bomb in South Waziristan, killing one soldier and wounding two, local intelligence officials said. #4: Separately, mortar bombs fired from Afghanistan wounded one soldier at a military check post near the border in South Waziristan, intelligence officials said. There was no independent confirmation of the cross-border firing. #5: Militants injured two security forces personnel in a grenade attack Monday on a major NATO airbase at an airport in the eastern Afghan city of Jalalabad, the local police chief said. "A few men threw hand grenades at the airport gate and the troops returned fire and the attackers fled," said Sardar Sultani, the police chief for Nangarhar province, of which Jalalabad is the capital. Two members of the security forces were "slightly injured", he said, without specifying if they were foreign or Afghan military or police. Witnesses had reported seeing explosions, including rocket fire, at the entrance to the airport. "There were no gunshots from their side or suicide attacks ... The explosions were from the grenades," Sultani told. He said police were hunting the attackers, who may still be in the area. The Italian MoD is reporting the death of an Italian ISAF soldier from an insurgent attack northwest of the Bala Murghab valley, Haret Province, Afghanistan on Monday, July 25th. Two additional soldiers were wounded in the attack. Here's the ISAF release. #1: An explosive charge blew off against a U.S. Army patrol in southern Iraq’s City of Basra on Sunday night, but losses were not known. “An American patrol, heading for Shueiba, 35 km to the west of Basra, has become target for an explosive Charge on its road, but results were not known,” the policed source told Aswat al-Iraq news agency. #1: Iranian shelling on border villages in Sidekan District in Arbil province left behind 5 people among killed and wounded, eye witnesses in Arbil reported on Monday. “Iranian shelling resumed on Saturday night targeting border villages in Sidekan District in Arbil. Shelling lasted till Monday morning killing two civilians and wounding three others”, head of Sidekan District Qader Ahmad Sora said in a statement to Alsumarianews. “Shelling caused a state of panic among villagers”, Sora added. “Two civilians were seriously wounded due to Iranian shelling while armed clashes resurged between Iranian Forces and Kurdistan Workers Party on the borders”, reported eye witnesses from Sidekan District, Arbil. #1: An Iraqi soldier has been injured in an explosive charge blast west of Mosul, the center of Ninewa Province, on Monday, a Ninewa security source reported. “An explosive charge blew off on Monday morning against an Iraqi Army patrol in west Mosul’s 17th July district, injuring a soldier, who was among the patrol members,” the security source told Aswat al-Iraq news agency, giving no further details. #2: A roadside bomb wounded a policeman late on Sunday when it exploded near a police patrol in Mosul, north of Baghdad, police said. #1: A NATO helicopter crashed in the restive east of Afghanistan on Monday, and foreign troops battled an insurgent attack during the rescue operation, the coalition force said. NATO's International Security Assistance Force (ISAF) said the crew and passengers received only minor injures in the incident. A police official said the helicopter appeared to have been downed by a rocket-propelled grenade. "An (ISAF) helicopter crashed in eastern Afghanistan today," said an ISAF statement. "As coalition rescue forces approached the crash site, they came under enemy fire. "Coalition forces returned fire, with small arms, while working to secure the site of the crash. All passengers and crew members have been secured and safely transported to a nearby base." "Last night a Chinook helicopter was hit and crashed. We don't know about casualties but the helicopter is totally destroyed. It appeared it was hit by a rocket-propelled grenade," said police chief Gul Rahman. He said other ISAF helicopters had flown in and returned fire on the gunmen and that the bodies of two insurgents had been found at dawn. #2: NATO's force in Afghanistan admitted today that one of its helicopters had accidentally wounded five children in the southern province of Helmand. "A known insurgent was targeted by a coalition helicopter. As a result of the engagement five local children were regrettably injured," the International Security Assistance Force (ISAF) said in a statement. The wounded were evacuated to an ISAF medical centre and were being treated, it said, adding that it was continuing to investigate the incident that occurred on Saturday in the Nahr-i-Saraj district. #3: Four rockets fired from Afghanistan landed in Bajaur Agency on Sunday, however, no loss of life was reported. Local sources said that about four rockets, fired from Kunar province of Afghanistan Sunday afternoon landed at Katkot, a bordering area of Bajaur Agency on Pakistan-Afghanistan border. #4: Clash between anti-government militants and police left 11 people dead including 10 insurgents and a policeman in Kandahar province, 450 km south of Afghan capital Kabul on Sunday, according to a press release of Kandahar' s provincial administration on Monday. "The armed militants raided some checkpoints of Border Police in Shurabak and Rigistan districts late Sunday night and police resisted as a result 10 rebels and one police constable were killed," the press release added. Two more policemen sustained injuries in the firefight that lasted for a while, it further said. An explosion near a government building on al-Nidhal street injures 4 building guards and 2 civilians. Reuters reports a bomb attack on a police patrol on Nidhal Street injures 2 police and 1 civilian. This is very different from the above account but gives a similar location. Conceivably they are different versions of the same incident, no way to tell. Attack on a police checkpoint in southeast Baghdad, using silenced weapons, kills 1 officer. The Deputy Police Chief of Diyala Province, Colonel Mudhaffar al-Magdamy, is injured along with 2 of his bodyguards, while a bystander is killed and 4 injured in a bomb attack on Saturday. Sheik Mohammed Fayek, a top aide to Grand Ayatollah Ali Sastani, is reported to have escaped an assassination attempt on Friday. A bodyguard is injured. This incident was not reported until today. Iraqi police say they have taken down an al Qaeda cell in Baghdad which is responsible for some of the most notorious recent attacks, including murders of police, soldiers, judges and public officials. The cell is said to have consisted of ten people. Reuters reports that the U.S. congressional Commission on Wartime Contracting will soon report that the U.S. has wasted $34 billion on private sector contracts in Iraq and Afghanistan. The report will decry lax oversight and the difficulty of overseeing chains of subcontractors. Stuart Bowen, the Special Inspector General for Iraq Reconstruction (SIGIR), is essentially in the dark about one of the most complex and dangerous endeavors the State Department has ever undertaken, one with huge implications for the future of the United States in Iraq. “Our audit of the program is making no progress,” Bowen tells Danger Room. For months, Bowen’s team has tried to get basic information out of the State Department about how it will command its assembled army of about 5,500 private security contractors. How many State contracting officials will oversee how many hired guns? What are the rules of engagement for the guards? What’s the system for reporting a security danger, and for directing the guards’ response? And for months, the State Department’s management chief, former Ambassador Patrick Kennedy, has given Bowen a clear response: That’s not your jurisdiction. You just deal with reconstruction, not security. Never mind that Bowen has audited over $1.2 billion worth of security contracts over seven years. The New York Times reports on Saturday that NATO killed 80 people in an assault on a Haqqani Network stronghold in Paktika. "Most of the dead were from the tribal areas of Pakistan, NATO and local officials said. The tribal areas on the Pakistan side of the border are populated by Pashtuns of similar background to those on the Afghan side and are home to many Afghans who fled their country during the Russian occupation here. A NATO spokesman declined to give any information on how many of the insurgents were Pashtuns from Pakistan and how many were foreign jihadi fighters." NATO and Aghan forces are said to have killed 5 militants in 2 separate operations in Helmand Province. In the next in a series of symbolic gestures [my interpolation - C], NATO hands over the peaceful and fiercely anti-Taliban Panjshir Valley to Afghan forces. The Taliban are reported to have kidnapped and murdered the 8 year old son of a policeman in Helmand after the officer refused to comply with their demands. The Taliban deny the allegation. Already, there is a growing sense of order unraveling. The assassination of the president’s half-brother Ahmed Wali Karzai — a powerful and controversial man with many enemies — is an example of the brutal pre-transition power struggle. There have been other signs of trouble, such as the missing Central Bank president who surfaced in Northern Virginia last month, saying he feared for his life after exposing high-level official involvement in a private banking scandal. #1: A police captain was killed and eight wounded in two consecutive explosions near alcohol shop west of Baghdad, security sources said today. The source told Aswat al-Iraq that the first bomb exploded near alcohol shop, but no human damages. When a police patrol arrived into the explosion scene, another bomb took off that resulted in killing the police captain and a civilian, as well as wounding four cops and four civilians. #1: Five Iraqi policemen have been injured in an explosive charge that blew off in a car, belonging to an unknown armed group that attacked a police checkpoint in Baaquba, the center of northeast Iraq’s Diala Province on Friday, a security source reported. “An explosive charge blew off inside a car, left by a group of unknown gunmen in new Baaquba, the center of Diala Province, after their attack on a police checkpoint that killed 5 policemen, but blew off to injure 5 other policemen, who approached the car that blew off against them on Friday,” the security source told Aswat al-Iraq news agency. #2: Unknown gunmen in northern Baaquba opened fire on Saturday morning on a civilian called Ismail Khalil as he was leaving his house in the village of Jdeidat Al Aghwat in Khales District. #1: A doctor in Iraq’s former Iraqi Army, carrying a lt-brigadier rank, has been killed in attack by unknown gunmen in north Iraq’s oil-rich city of Kirkuk on Friday night, the city’s police director reported on Saturday. “A group of unknown gunmen have opened fire from a fast car on Friday night against the former doctor and Lt-Brigadier in Iraq’s former Iraqi Army, Ibrahim Shueib al-Jumeily, killing him on the spot,” Lt-Brigadier, Sarhad Qader, told Aswat al-Iraq news agency. #1: A mortar shell exploded near a security checkpoint, wounding a soldier, police said. #2: One gunman was killed and two others were wounded when security forces clashed with an armed group in Mosul, 390 km (240 miles) north of Baghdad, a military source said. #1: A Pakistani official says an anti-Taliban militia has killed 13 militants in clashes near the Afghan border. Local administrator Noor Alam Khan says several militiamen and insurgents were also wounded in the gunbattles Friday and Saturday in the Kurram tribal region. #2: Nato helicopters violated Pakistani territory limits near the Pak-Afghan border area on Saturday. According to a Private TV, two Nato gunship helicopters violated Pakistan’s border limits in the areas of Kurram agency. The gunship helicopters came 8 kilometer meters inside Pakistani borders. The two helicopters remained in Pakistani airspace for sometime without sanction or authorization, and after making flights on different areas of Kurram agency, close to the Afghan border, returned back to their airbase in Afghanistan. #3: Five Pakistani Taliban militants were killed in the northwestern tribal region of Kurram on the Afghan border in a clash with tribesmen who are opposed to militant activities in their areas, local intelligence officials said. Eight tribesmen were also wounded in the firefight which broke out after insurgents launched a pre-dawn attack on a village to avenge the killing of a militant commander by tribesmen this week. #4: Gunmen on two motorbikes killed a senior leader of a regional political party, his bodyguard and driver in an attack in Khuzdar district of southwestern Baluchistan province, police official Ghulam Rasool said. #1: A gunman was killed in an attack on an Awakening Council group members in west of Baghdad on Wednesday, while a bomb explosion in western the capital wounded three people, the police said. Unidentified gunmen attacked a checkpoint manned by members of a local Awakening Council group in Abu Ghraib area, some 20 km west of Baghdad, sparking a clash between the attackers and the group members, a local police source told Xinhua on condition of anonymity. The attack resulted in the killing of a gunman and the capture of another, while a group member was also wounded by the clash, the source said. #2: In a separate incident, a roadside bomb ripped through Amriyah district in western Baghdad wounded three people, an Interior Ministry source told Xinhua on condition of anonymity. #1: A roadside bomb on the road leading to Al Jazira region near Al Miqdadiya District, northeastern Baaquba, targeted a police patrol and wounded four policemen. #1: Unknown gunmen bombarded a residential house in Tarmiya District, northern Baghdad, on Thursday overnight. Wounding four people from the same family, a police source told Alsumarianews. #1: Gunmen in a speeding car killed a government employee in front of his house in northern Kirkuk, 250 km (155 miles) north of Baghdad, police said. #1: Gunman threw a hand grenade at an Iraqi army checkpoint in eastern Mosul, 390 km (240 miles) north of Baghdad, late on Wednesday, killing one soldier, police said. #1: The U.S.-led coalition says more than 50 insurgents have been killed in a military operation at a foreign fighter encampment in eastern Afghanistan. In a statement Friday, NATO says the camp in the Sar Rawza district of Paktika province is a staging area for foreign militants and members of Haqqani, an insurgent network affiliated with the Taliban and al-Qaida. The coalition says the fighters were moved into Afghanistan by Haqqani insurgents who planned to use them for attacks throughout the country. The coalition says that after getting tips about the camp, coalition forces, including Afghan special forces, battled heavily armed insurgents Thursday night and into Friday. The insurgents fought from several sites, including caves and fortified bunkers. #2: An early warning defence system at the multinational military base at Tarin Kowt, Afghanistan, has saved Australian solders in a rocket attack. Australia's Defence Ministry says three rockets were fired at the base but the counter-rocket, artillery and mortar warning system meant people had time to take cover. One of the rockets hit accommodation housing Australian troops but they were not hurt. The Defence Ministry said the rocket exploded on the roof but it did not penetrate the building. One soldier who is not Australian was treated for concussion. #3: Two people were killed and five others injured in yet another cross-border incursion by Afghan based militants in Bandagai area in Bajaur Agency on Thursday, tribal and official sources said. The militants fired seven mortar shells into Bandagai village in the Mamond tehsil of Bajaur tribal region, sources said, adding that some of the mortar shells fell on houses and killed two persons, including a woman. Five persons, including children and women, were injured in the incident. The injured people were taken to Agency Headquarters Hospital in Khar. #4: Three Afghan civilians have been killed in a night raid carried out by US-led forces in Afghanistan's eastern province of Wardak. Residents of the city of Sayed Abad said foreign troops attacked a home on Thursday night, killing a father and two of his sons, a Press TV correspondent reported. #5: A roadside bomb hit the vehicle of a pro-government tribal leader in the Dera Bugti district of the southwestern Baluchistan province, wounding four, police said. #1: In a separate incident, a roadside bomb ripped through Amriyah district in western Baghdad wounded three people, an Interior Ministry source told Xinhua on condition of anonymity. #1: Unidentified gunmen attacked a checkpoint manned by members of a local Awakening Council group in Abu Ghraib area, some 20 km west of Baghdad, sparking a clash between the attackers and the group members, a local police source told Xinhua on condition of anonymity. The attack resulted in the killing of a gunman and the capture of another, while a group member was also wounded by the clash, the source said. #1: An Iraqi army patrol killed a militant during a raid at his home in the town of Baaj, 375 km (233 miles) northwest of Baghdad, police said. #1: He said that an explosive charge blew off against a police patrol, when an al-Riyadh police patrol arrived at the venue of the house attack, killing a civilian and wounding 2 others, but none of the police patrol men was injured. #2: “A rocket was launched on the house of Police Officer, Colonel Imad Murshid in a village close to al-Riyadh township, 45 km to the southwest of Kirkuk, causing severe damage to the house, but no human casualties,” Lt-Brigadier, Sarhad Qader told Aswat al-Iraq news agency. #1: A child was hurt in bomb blast targeted against the Iraqi army east of Mosul, security sources told Aswat al-Iraq here today. #1: Taliban-linked militants in northwestern Pakistan have blown up a NATO oil truck carrying fuel for US-led foreign troops in Afghanistan, security officials say. In a fresh militant attack on the NATO containers heading from Pakistan to neighboring Afghanistan, the militants destroyed a NATO fuel truck on Thursday, Reuters reported. #2: At least four people were killed Wednesday when a U.S. drone targeted the North Waziristan tribal area in northwest Pakistan, local sources said. The pilotless aircraft fired two missiles at a house in Mir Ali area of North Waziristan which borders Afghanistan, they said. #3: A suicide bomber on foot attacked a vehicle carrying soldiers from the military-run construction company, The Frontier Works Organisation (FWO), in South Waziristan's tribal region on the Afghan border, wounding at least two, intelligence officials said. #4: A remote-controlled bomb strapped to a motor-bike destroyed a state-owned oil and gas company vehicle in Jaffarabad district of southwestern Baluchistan province, killing three men and wounding four, police said. There was no claim of responsibility. The DoD is reporting a new death unreported by the military. Sgt. Mark A. Cofield died in Baghdad, Iraq from a non-combat related incident on Sunday, July 17th. NATO is reporting the death of an ISAF soldier from an IED attack in an undisclosed location in eastern Afghanistan on Tuesday, July 19th. NATO is reporting the death of another ISAF soldier from an IED attack in an undisclosed location in eastern Afghanistan on Tuesday, July 19th. #1: A roadside bomb went off near a police patrol wounding two people including one policeman in Baghdad's western district of Ghazaliya, an Interior Ministry source said. #2: A roadside bomb exploded late on Monday and wounded one civilian in Baghdad's southern district of Doura, a security source said. #1: A policeman and a government employee have been killed, and a civilian was injured in an explosive charge blast in Saadiya township in northeast Iraq’s Diala Province on Wednesday, a Saadaiya police director reported. “An explosive charge blew off on Wednesday morning at Zarkush village in Saadiya township of Khanquin town, 155 km to the northeast of Baaquba, the center of Diala Province, on Wednesday, killing a policeman and a government employee and wounding a civilian,” Ahmed al-Zarkushi told Aswat al-Iraq news agency. 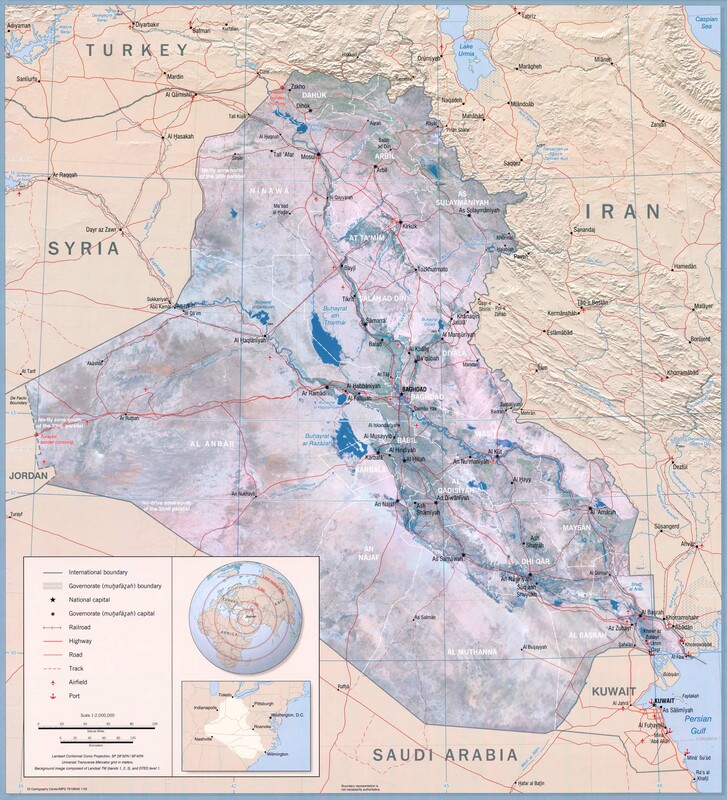 #1: U.S. warplanes have attacked areas in southern Iraq’s city of Amara, the center of Missan Province on Monday and Tuesday, with live weapons, a Missan Province’s security source reported. “Amara city had witnessed on Monday and Tuesday U.S. air attacks, using live ammunition,” the security source told Aswat al-Iraq news agency, saying that the raids have covered the areas of Ufiya and Abu-Rummana in central Amara, the U.S. Army suspects were being used by armed groups to launch rockets on the Buteira military airport, 5 km to the north of Amara. The security source said that the air raids did not cause any human or material losses, but created a state of terror among the inhabitants of the Province, after they heard the continuous air raids. 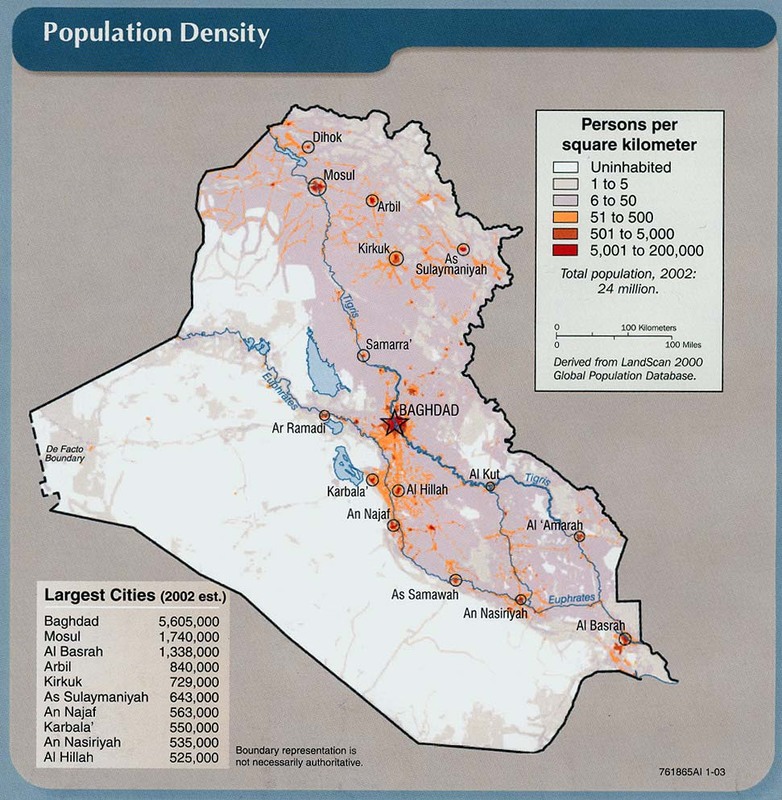 #1: An explosive charge has blown up against a U.S. Army patrol west of Kut, the center of southern Iraq’s Wassit Province on Tuesday, but losses were not known, a Wassit police source reported. “An explosive charge has targeted a U.S. Army patrol, while heading to the U.S. Delta base in Kut city, the police source told Aswat al-Iraq news agency, adding that the American forces have imposed a cordon around the venue of the blast, whilst police forces have imposed a security alert on the area. #1: The house of Kirkuk Province’s Riyadh village’s Assistant Police Director, has been blown up by unknown gunmen, wounding him and his son, Kirkuk’s Police Director on Tuesday night, Sarhad Qader reported on Wednesday. “A group of unknown gunmen have blown up the house of Riyadh township’s Assistant Police Director, Colonel Qassim al-Ussafy, 45 km southwest of Kirkuk, wounding him and his son and causing severe damage to the house,” Colonel Qader told Aswat al-Iraq news agency. #1: Two planted roadside bombs went off in front of an off-duty police officer's house, seriously wounding him and his son in south-western Kirkuk, 250 km (155 miles) north of Baghdad, police said. #1: A bicycle bomb killed four civilians and injured eight others on Wednesday in the northern Afghan city of Mazar-i-Sharif. #2: Gunmen attacked a police station in southern Kandahar city and killed its commander during a nine-hour gun battle. "Three policemen were killed and six more wounded when two gunmen attacked police district one," Abdul Razziq, chief of police in Kandahar province, said after the fighting ended. The two Taliban gunmen were killed and the attack was over by late morning, although police were combing the station to check no other insurgents were hiding there, he said. #3: Finnish soldiers were targeted by a roadside bomb in Afghanistan, according to a statement Tuesday evening by the Finnish Defence Forces. No one was hurt in the attack. Finnish soldiers were travelling by vehicle 50 miles west of the Mazar-i-Sharif when their vehicle was hit by a roadside bomb. The vehicle was destroyed in the attack, and one Finnish soldier and a local interpreter were evacuated to a field hospital for observation. #4: Unknown armed men gunned down the intelligence chief of Ashkamish district in Takhar province 245 km north of capital city Kabul on Wednesday, an official said. "Unidentified armed men driving a car opened fire on Abdul Jalil, the head of intelligence depart in Ashkamish district at 05: 00 a.m. local time, killing him on the spot," Abdul Manan Hakimi, the governor of Ashkamish district told Xinhua. The British MoD is reporting the death of a British ISAF soldier from an IED blast in the Nahr-e Saraj (South) district, Helmand province , Afghanistan on Monday, July 18th. Here's the ISAF release. NATO is reporting the death of an ISAF soldier from non-combat related injuries in an undisclosed location in northern Afghanistan on Monday, July 18th. #1: A roadside bomb blew up, wounding three policemen late on Sunday in Mahaweel, 60 km (35 miles) south of Baghdad, police said. #1: Shrapnel from Iranian artillery shelling that targeted bases of the Kurdish rebel group PJAK on the Iran-Iraq border wounded an Iraqi woman on the northern outskirts of Sulaimaniya, 260 km (160 miles) northeast of Baghdad, a Kurdish official said. #1: An Iraqi civilian has been killed by unknown gunmen in northern Iraq’s oil-rich Province of Kirkuk on Monday, a Kirkuk police director reported. “A group of unknown gunmen opened fire from a fast car on the citizen Woria Hamsuddin on the main road between Sargran and Altun-Kurpri townships of Kirkuk Province on Monday, killing him on the spot,” Lt-Brigadier, Sarhad Qader told Aswat al-Iraq news agency. He said the victim had been a member of Sargran township’s police force, who had quit his job few months ago. #1: Three gunmen were killed and two policemen were wounded during a raid in western Mosul, 390 km (240 miles) north of Baghdad, police said. #2: A gunman was killed and two others were arrested by police after they opened fire at a police security checkpoint in western Mosul, police said. #1: Mortar shells fired from across the border in Afghanistan hit a Pakistan military border post killing four soldiers, Pakistan security officials said Tuesday. Two other soldiers were wounded in the attack in South Waziristan tribal district, they said, in the latest in a series of deadly cross-border incidents that have raised tensions between the neighbouring countries. "Four soldiers were killed and two others were wounded in this cross-border attack," a senior security official in Peshawar told AFP. "More than 20 mortar shells were fired from across the border. Three shells slammed into a paramilitary Frontier Corps checkpost in Angoor Adda area," he added. #2: AN Afghan official says seven police officers have been poisoned and shot dead at a checkpoint in southern Afghanistan. Daoud Ahmadi, a spokesman for Helmand province, said today that the policemen were killed yesterday by one of their colleagues near Lashkar Gah. The city is slated to transition to Afghan-led security this month. Ahmadi says the assailant escaped in a police vehicle loaded with weapons from the checkpoint. #3: Pakistani security forces killed 10 militants in Kurram Agency, a tribal region in Federally Administered Tribal Areas (FATA), during a clash. One soldier was also killed during the offensive, said security officials. The Pakistani Army launched a military offensive against miscreants July 1 in Kurram Agency. #4: In the other incident, a roadside bomb killed four suspected militants and injured three others in South Waziristan, a tribal region bordering Afghanistan. The incident occurred in Shakai area, a former stronghold of Pakistani Taliban, when a vehicle carrying militants was passing through the area. #5: Eight Pakistani employees of a US-based aid organisation are missing and feared kidnapped in Pakistan's volatile southwest bordering Afghanistan, a senior Pakistani government official said. The employees of The American Refugee Committee (ARC) were returning after distributing food items from an Afghan refugee camp in Pishin, 50km from Quetta, the capital of Balochistan province, on Monday evening when they went missing. "They distributed some relief goods among the refugees and were probably kidnapped on their way back to Quetta," Mansoor Kakar, Pishin's deputy commissioner, told Reuters. #6: Two Afghan policemen, including the police chief of Rigistan district in Kandahar province, 450 km south of the capital city of Kabul, were killed as a roadside bomb struck their vehicle on Monday, deputy to provincial police chief Shir Shah Yusufzai said. "The gruesome incident happened at around 09:00 a.m. local time, as a result Wali Mohammad, the police chief of Rigistan district, along with another police, was killed," Yusufzai told Xinhua. The British MoD is reporting the death of a British ISAF soldier from an apparent attack from an ANA soldier small arms fire/gunshot wounds in the Nahr-e Saraj district, Helmand province, Afghanistan on Saturday, July 16th. Here's the ISAF release. NATO is reporting the death of an ISAF soldier from unreported combat causes in an undisclosed location in southern Afghanistan on Friday, July 15th. NATO is reporting the death of an ISAF soldier from an IED attack in an undisclosed location in eastern Afghanistan on Saturday, July 16th. NATO is reporting the deaths of two ISAF soldiers from an IED attack in an undisclosed location in southern Afghanistan on Sunday, July 17th. NATO is reporting the deaths of three ISAF soldiers from an IED attack in an undisclosed location in eastern Afghanistan on Monday, July 18th. #1: A pro-government Sahwa (Awakening) element has been killed and another injured in an explosive charge blast south of northern Iraq’s oil-rich city of Kirkuk on Monday, a police director reported. “An explosive charge blew off on Monday morning against a checkpoint of al-Sahwa (Awakening) Force in al-Rashad township, 35 km to the southwest of Kirkuk,” Lt-Brigadier Sarhad Qader told Aswat al-Iraq news agency, killing an al-Sahwa element and wounding another. #1: Two cops were killed and one injured in an attack against a checkpoint west of Mosul, security sources said today. The source told Aswat al-Iraq that the two cops were killed and a third one was gravely wounded when unknown gunmen attacked the check point west of Mosul. #2: A security source in Ninewa province said today that a man and a woman were killed in bomb blast mid of Mosul. The source told Aswat al-Iraq that the bomb exploded in Cornish street, mid of the city, which led to their death. #3: Iraq’s police forces have killed 3 armed men and arrested 3 others, east of the city of Mosul, the center of north Iraq’s Ninewa Province on Monday, a Ninewa security source reported. “A Ninewa police force have killed three armed men and detained three others, in west Mosul’s al-Shuhadaa district early on Monday,” the security source told Aswat al-Iraq news agency. #1: One of Afghan President Hamid Karzai's senior advisers has been killed by militants in an attack on his home in Kabul. Police said two gunmen strapped with explosives stormed Jan Mohammad Khan's house murdering him and local politician Hasham Atanwal. Officers killed one of the attackers before he could detonate his explosives. The other one blew himself up shortly after dawn after barricading himself in the house. Jan Mohammed Khan was an adviser to Mr Karzai on tribal issues and was close to the president, a fellow Pashtun. #2: At least six civilians have been killed and several others injured in the latest US-led airstrike in Afghanistan's southeastern Logar Province. The province's spokesman Din Mohammad Darvish confirmed the airstrike and the fatalities, saying that six people were also injured in the attack on Sunday evening, a Press TV correspondent reported Monday. However, local residents put the number of the wounded civilians at 11, saying that all those killed and injured were tribesmen. NATO has confirmed carrying out the Sunday airstrike, saying that “four militants” have been killed in the attack. #3: Finnish soldiers came under fire in Afghanistan on Saturday while patrolling with Afghani security forces 50 kilometres from the city of Mazar-i-Sharif. No one was injured in the attack, according to the Finnish Defence Forces. The Finnish troops were attacked twice with rocket-propelled grenades and small arms, and returned fire. #4: Gunmen killed a NATO oil supply tanker driver on Sunday after opening fire on supply trucks heading to Afghanistan from Pakistan's southwestern Balochistan province, officials said. The attackers on motorcycles opened fire on the convoy of NATO trucks in Dasht district, some 35 kilometers from Quetta, the provincial capital, they said, adding that a driver of one NATO supply truck was killed and all the other drivers and their helpers remained safe. Two NATO oil tankers were destroyed during the attack and the gunmen escaped after the incident. Roaside bomb in Amariyah, near the airport, kills one police officer and a bystander, injures three people. Brigadier General Ahmed Bdeiwi, head of the provincial major crimes department, survives and attack on his convoy with injuries. Three of his bodyguards are also injured. Roadside bomb injures two people. Several fighters of the Iranian-Kurdish irredentist group PJAK (Party of Free Life of Kurdistan) are injured, amid conflicting reports of whether the casualties result only from Iranian shelling, or whether there have been direct confrontations between Iranian and PJAK forces. A PJAK spokesman claims Iranian soldiers have been killed and injured. Tensions rise in the Syrian town of Al-Bukamal, next to the Iraqi border, where the Syrian army is said to be preparing an assault. ""The situation in Al-Bukamal is explosive, so the army is preparing to intervene... because the authorities fear an armed revolt in this border town where (insurgents) can easily find logistical and political support. . ." reports Al-Watan. There are claims of Jewish pressure to prevent the return of the collection, and questions about why the U.S. didn't prevent the looting of Arab and Islamic treasures during the invasion but was able to bring the Jewish collection to safety in America. Among those voicing indignation about the transfer of the archive to America is Liwa Smaysim, the minister of archaeology, who belongs to a fiercely anti-American party in the government coalition. On the other hand, once returned to Baghdad, the archive would likely be beyond the reach of Jewish scholars, especially Israeli ones, given the absence of diplomatic ties with Israel, and the anti-Semitism that exists here. Iraqi officials have vowed to restore the materials and digitize them so they're available outside Iraq as well. 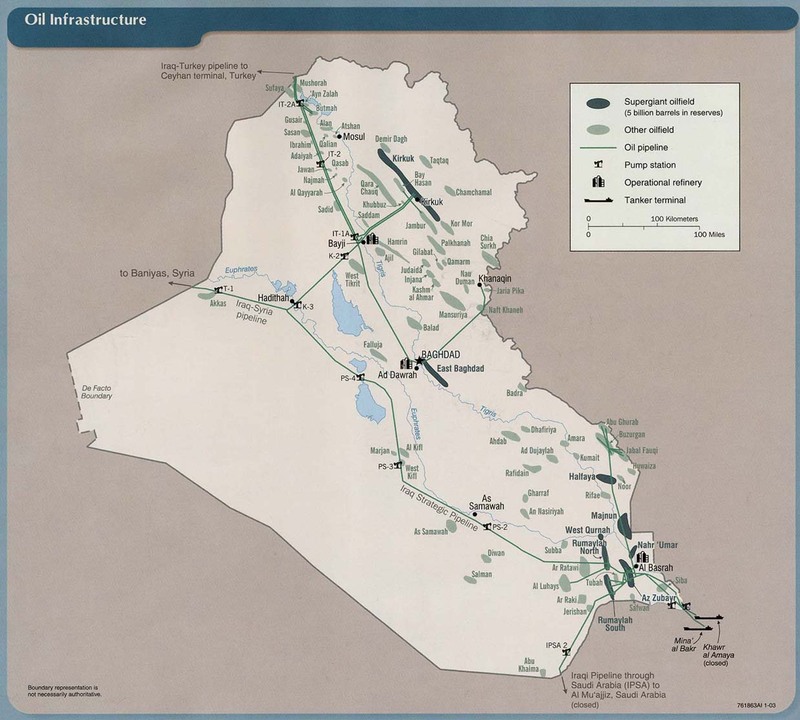 Agreement is reached among Iran, Iraq, and Syria for construction of a natural gas pipeline to Lebanon and Mediterranean shipping. A British soldier is killed while on routine patrol in southern Afghanistan, amid unconfirmed reports that he was shot by an Afghan soldier. NATO and Afghan forces kill 13 militants who had occupied a school in Khewai district, Nangarhar province. "Air support was called in and the building was totally destroyed." Leading one to question how much Afghan forces actually had to do with the result. -- C And indeed, TOLO's headline is rather different: Nato Air strikes Kill 13 Militants in E Afghanistan. TOLO also reports two employees of the school were killed. Gunmen kill two, injure seven at a wedding party in northern Baghlan province. The identity and motives of the attackers are unclear. The AP is reporting the death of an American MNF-Iraq (OND) soldier from unreported causes in an undisclosed location in southern Iraq on Friday, July 15th. NATO is reporting the death of an ISAF soldier from an insurgent attack in an undisclosed location in western Afghanistan on Friday, July 15th. #1: One Iraqi civilian was killed and three others were wounded when a roadside bomb exploded Friday afternoon in the southern part of the capital city Baghdad. A source from the Interior Ministry told Xinhua that the incident, which took place in Dora district, also caused damage to a number of shops and buildings near the scene. #2: A sticky bomb attached to a car of an off-duty policeman wounded him in Baghdad's southeastern Zaafaraniya district, police said. #3: A sticky bomb attached to a minibus wounded two people in the southern outskirts of Baghdad, an Interior Ministry source said. #4: Gunmen in a speeding car using weapons equipped with silencers shot at a police checkpoint and wounded three people, including two policemen, in Baghdad's southeastern Zaafaraniya district, an Interior Ministry source said. #1: The attacks started on Friday afternoon when two car bombs exploded at a garage near the Shiite shrine in northern part of Karbala, some 110 km southwest of Baghdad, killing three people and wounding 15 others, a local police told Xinhua on condition of anonymity. #2: Another booby-trapped car detonated late Friday in the town of al-Hindiya, some 30 km east of Karbala, targeting groups of Shiite pilgrims heading to the holy shrine of Karbala, killing six pilgrims and wounding 28 others, an Interior Ministry source told Xinhua on condition of anonymity. #3: On Saturday morning, a motorcycle bomb struck a crowd of Shiite pilgrims in Karbala's southern neighborhood of al-Mulhaq, killing a worshipper and wounding 27 others, the source said. #1: A roadside bomb targeting an Iraqi army patrol wounded a soldier in northern Samarra, 100 km (62 miles) north of Baghdad, an army source said. #1: A soldier and civilian were injured today in a sticky bomb south of Mosul, security sources in the province said. The source told Aswat al-Iraq that the bomb was stuck to a private pick-up belonging to the soldier. The soldier was on his routine leave with another civilian accompanying him. #1: An Iraqi civilian has been killed and another injured in an explosive charge blast in west Anbar’s al-Baghdady village on Saturday, an Anbar police source reported. 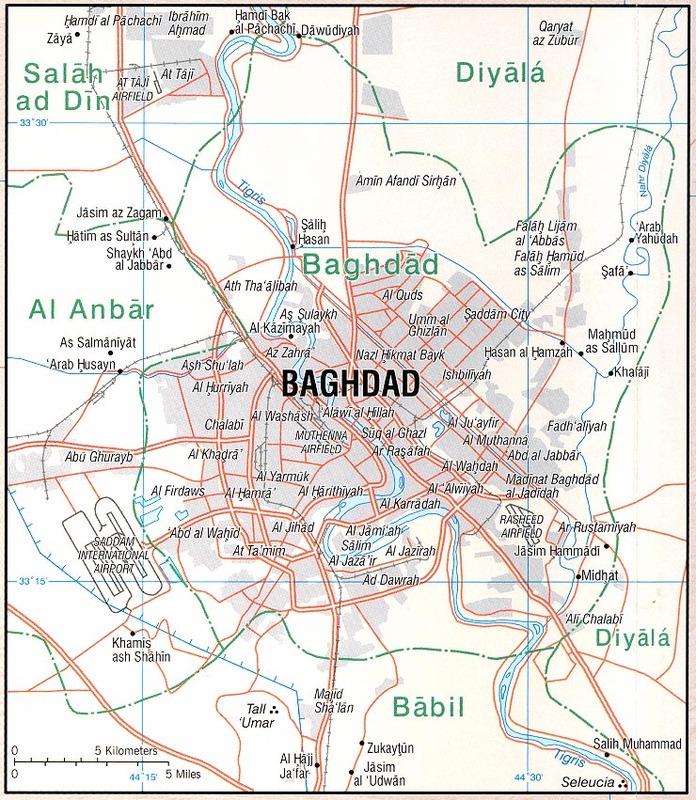 “A civilian has been killed and another was injured in an explosive blast on a roadside in al-Baghdady village on Saturday,” the security source told Aswat al-Iraq news agency. #1: Fourteen people including seven security forces and seven insurgents have been killed during an operation launched Friday in Bala Buluk district, Farah province 695 km west of capital city Kabul, deputy to provincial police chief Mohammad Ghous Malyar said Saturday. "The operation with the involvement of army and police launched in Shiwan village of Bala Buluk district on Friday and so far seven Taliban rebels, six Afghan soldiers and one Afghan police have been killed," Malyar told Xinhua. Twelve Taliban insurgents and two policemen have been wounded in the battle, he added. The operation is still underway and would continue until the area is cleaned up of insurgents, the official further said. #2: Four Afghan policemen were killed by a roadside bomb in Maidan Wardak province on Friday, the Ministry of Interior said in a statement. #3: Four Afghan civilians were killed on Friday during an insurgent attack on a police check point in Ab Baran village in Urozghan province, the Ministry of Interior said in a statement. #4: An man died on Friday when a mine he was planting exploded in the Panjwaii district of Kandahar province, the Ministry of Interior said in a statement. #5: Two insurgents were killed in an Afghan-led security force operation in Chahar Bolak district in Balkh province on Friday, ISAF said in a statement.